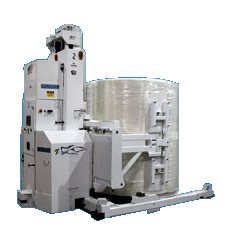 The Eagle Series are versatile vehicle systems that can create flexible, automated pick-up or delivery systems in a factory or warehouse. The Falcon Series are versatile vehicle systems that can create flexible, automated pick-up or delivery systems in a factory or warehouse. The Patriot Series represents our industry leading capabilities in developing customized AGV systems for manufacturing industries. Corecon offers a wide range of engineering and implementation services. 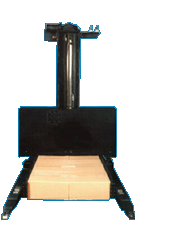 Let our AGV experts engineer a solution for your business today! 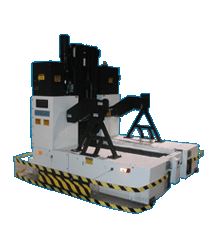 Corecon AGV Systems is an American owned and operated company providing the material handling industry with quality Automatic Guided Vehicle Systems. 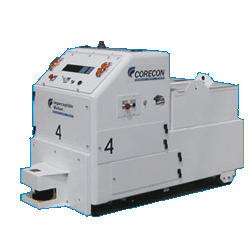 Corecon was founded in 1989 by leading engineers from the Automated Guided Vehicle industry and is headquartered in the western suburbs of Chicago IL. 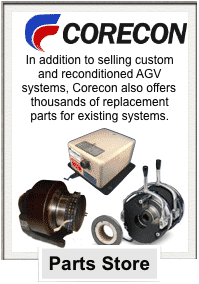 Call Corecon today and discuss your application with one of our expert sales engineers. 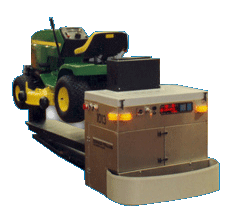 We have over 25 years of experience in the design and implementation of AGVs and systems for any industry. Vehicle is capable of towing 3,000 lbs.